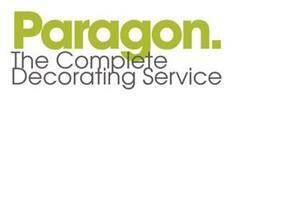 Paragon - Painter/Decorator based in Horsham, West Sussex. As professional painters and decorators, we aim to minimise the messy and disruptive nature of our work, whilst taking a traditional pride in the preparation and quality of finish in every re-decoration project we undertake. All our work is carried out by fully qualified, college trained tradesmen to a very high standard using only top quality materials. It's not just the end result that’s important, the process of getting there has to be considered, thorough preparation really is the secret to a good job. We are now using state of the art sanders connected to a mobile dust extraction unit where ever possible, this provides us with a virtually dust free working area which in turn allows us to keep your home as clean as possible. How do we compare? Paragon is a legitimate painting and decorating business that has been trading since 1987 with a permanent address and phone number. We will always provide a written estimate detailing exactly the scope of work and the processes to be carried out. We carry full public liability insurance at all times. Please do not compare us, or our cost of doing business, with less conscientious, less professional concerns.